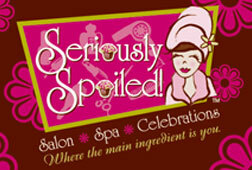 You too can feel…Seriously Spoiled! 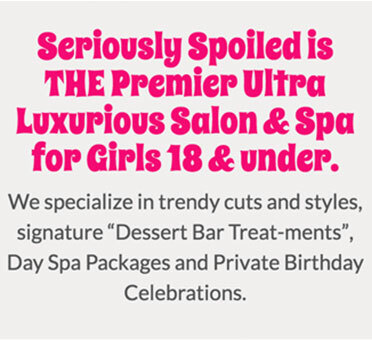 Seriously Spoiled is THE premier ultra luxurious salon and spa destination for girls 18 and under. We specialize in trendy cuts and styles, signature “Dessert Bar Treat-ments”, Day Spa Packages and Private Birthday Celebrations. Our posh “Peppermint Lounge” provides a private retreat where robe and slipper service are always accompanied by sparkling pink lemonade. 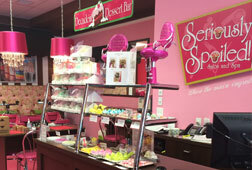 Our Bath Bakery Boutique boasts hand crafted gourmet soaps, spa apparel, accessories, gift certificates, and a gift registry. Join us and prepare yourself for the ULTIMATE spa experience. 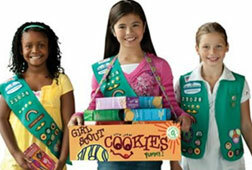 Offering discounted party packages for our local Girl Scout Troops. Shop Online for Apparel, Bath & Body Products, Fun Items and Gifts. Specially packaged and delivered by mail or available for download. 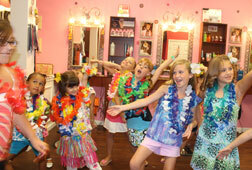 Find out what our Seriously Spoiled customers have to say about their experience!